So, a good friend made this for me the other day when I was feeling a bit under the weather. It is super easy, and super tasty. I cut back a bit on the spices as I’m not one who likes too much heat but, it is a super simple dinner that can easily translate into lunch. 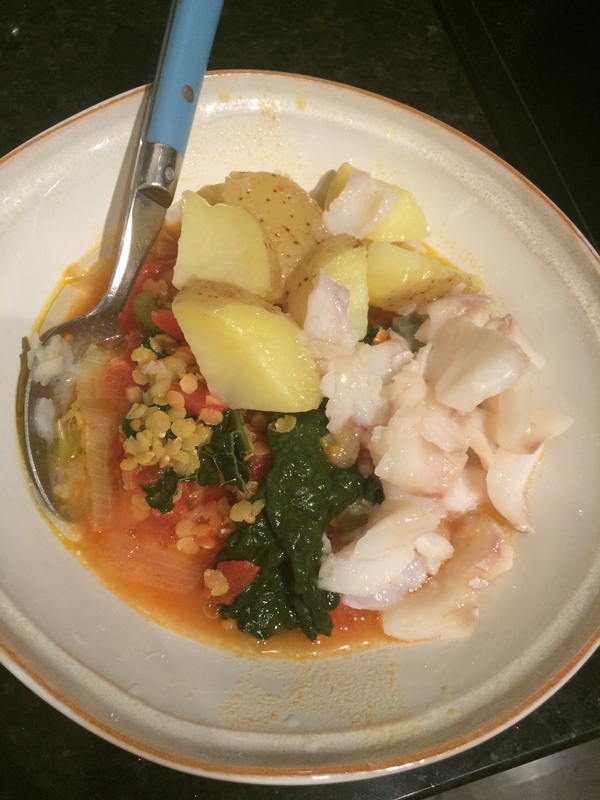 I also added some potatoes and cod to make it a bit more hearty — especially for my boyfriend. 1. In a large pot, sauté the onion and garlic in oil for about 5-6 minutes over medium heat. Add in the celery and sauté for a few minutes more. 2. Stir in the bay leaf and the spices (cumin, chili powder, coriander, paprika, cayenne). You can add half the spices and add more later if you prefer. 3. 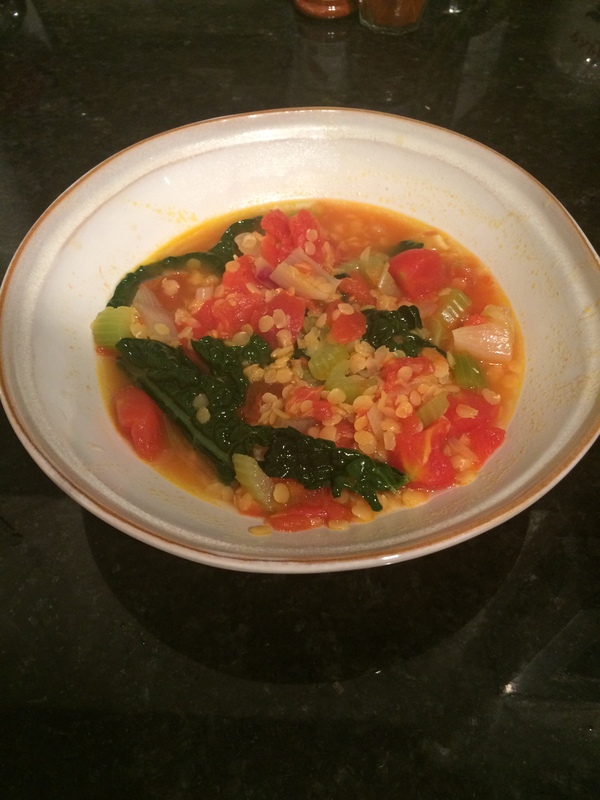 Stir in the can of tomatoes (including juice), broth, and lentils. Bring to a boil, reduce heat, and then simmer, uncovered, for about 20-25 minutes, until lentils are tender and fluffy. 4. Stir in kale or spinach and season to taste adding more spices if you wish.